Here are the multitude of award programs and contests available to the membership of the OSFGC. Check out the sources below for a list of National and Pacific Region award opportunities, guidelines and deadlines. For a complete list of State Award opportunities, check the list in the current OSFGC Directory and view the Committees page on this website. Make the study of local birds and the development of habitat and feeding stations the theme of garden club and district meetings. Present family and friends with binoculars, guide books, local sighting lists, feeders and bird food. Promote a photography contest or show. Classes will include books by individuals, clubs or districts. Youth participation may be club, individual member or non-member, with age noted. Correct identification of birds is very important. Size and type of scrapbook is optional. Do not use folders. Materials must be firmly attached to pages. First, second, third place and honorable mention will be awarded, if merited. The highest scoring book will receive an appropriate gift. Winners’ names will be published in the Mahonia. The Book of Friendship is a way for individuals, clubs or districts to recognize those garden club members or people in our lives we wish to honor with a special thank you. To have someone listed in the Book of Friendship and receive a certificate, fill out the form which you can find on the website or ask the Chairmen to send it to you. The form asks for the name and contact information of the person being honored and a brief statement about why they are being honored. This statement will appear on the certificate. Mail the completed form to either chairman. Mail a copy of the form and a donation check made out to OSFGC for $10 or more to the OSFGC Treasurer. Your donation goes into the Claire Hanley Scholarship fund for horticulture students at OSU. The Certificate of Friendship will be sent to the recipient unless you indicate that it be sent to someone else for presentation later. The Book of Remembrance is a permanent way to honor special members or friends who may have passed away. For a minimum donation of $10, a person can be listed in the book. Donations become part of the Claire Hanley Scholarship Fund, which awards scholarships to students in horticulture fields at Oregon State University each year. Please use the form available here or from this chairman. List the name to be entered in the book, along with the name of the person making the contribution, club and district. You may also add a brief comment about the person honored, such as their activity in garden club. Send the form and money to the Treasurer. Make checks payable to OSFGC, Inc. Send a copy of the form to the BOR chairman. Memorial cards will be sent to whomever you designate, and the name of the person honored will be shared at Convention. How can something as beautiful and wonderful as a butterfly also be such a workhorse? Butterflies are one of the world’s prime pollinators of plant life. Encourage them to come to your garden. The scrapbook should have a balance of pictures and written information. There are separate classes for individual, club, district and youth club entries. Use standard size scrapbook with flyleaf containing title, group and name of compiler. Number the pages and include an index page. Butterflies of Oregon should predominate. There may be one section on butterflies of the Pacific Coast or the U. S. or the World. Consider a comprehensive study of one butterfly, such as the Monarch. Identify with common and scientific names. Ready to celebrate? Ready to celebrate our heritage that is! Yes, we can do so by naming a favorite garden club site you have been working on for years or even just one year.Did you clean out an old garden site adjacent to a historical building? Did you replant with “golden oldy” plants depicting a home’s era? Did you do some cleaning up of a historical house itself? Repainting? Replacing? I would like to know what you and your fellow garden clubbers did. To apply, send a small book of evidence to this chairman showing the project, preferably before, during and after restoration. Claire Belsher began this traveling award in 1977 to celebrate the U.S. Bicentennial. We still have the spirit of patriotism and I will help you to celebrate with her award at the upcoming OSFGC Convention. As chairman of the Ellen Ambuhl Conservation Award I am seeking a recipient to honor at our upcoming state convention. In the past three years I have presented an award to North Coast Land Conservancy, Columbia Gorge Fruit Growers and, most recently, to Frank Lloyd Wright’s Gordon House in Silverton, Oregon. I am asking all district directors to please search your area and talk to your clubs to see if there is a person or group who have 1) helped conserve the treasures that we are so blessed with in Oregon and 2) fit our Conservation Pledge. I am sure there are many OSFGC garden club members who are unaware of this award and who may know of potential award recipients. To apply for the award send me a simple book of evidence by April 15. The recipient may be an individual member or non-member, club, district or civic group. There is a $100 prize for the winner. If you need help preparing a book of evidence I will share my past books of evidence as a helpful guide. A plaque and certificate will be awarded to an established Garden of Distinction when merited (not necessarily annually). A nominated garden must be accessible to the public on a regular basis. The garden will be selected by a committee of three garden club members appointed by the current OSFGC President. One member of the committee must be a Landscape Design Consultant. 1. Include a typewritten script with illustrations and photos focusing on the candidate’s development of a garden or any kind or the maintenance of a garden throughout the year. It may be a home garden, community garden, junior garden or public landscape. Limit: 6 pages, 8 ½ x 11”. 2. Materials should be contained in a folder with a cover, labeled with the candidate’s name, garden club, city, address and month/year of presentation. Indicate also who is submitting the application. 3. Submit by mail or electronically to this chairman by the indicated deadline. This award has been given since 1943 for outstanding achievement in horticulture and its allied fields. The recipient is an honored guest at the OSFGC, Inc. annual state convention and is presented a citation of merit and a check for $100. Individuals, garden clubs and districts may make nominations for the award. A Book of Evidence must be submitted which includes a letter summarizing the reasons for the nomination and signed by the person submitting the material. Pictures, newspaper articles written by and/or about the nominee and letters of appreciation for work accomplished by the nominee may be submitted. This award, presented each odd year at the OSFGC Convention, highlights an outstanding member of a district garden club. Please involve your district in nominating eligible individuals. Be sure to consider those dependable, “can-do-whatever is needed” members as possible nominees. The selection criteria includes: The district nominee shall have been a garden club member for a minimum of 20 years. The name of the nominee and the name of the district are to be sent to the State President by April 15 by either postal mail or email. Include a few sentences that list the reasons for your choice. At the Convention these brief sentences will be what you will share with the audience. The name of the nominee and the name of the district are to be sent to OSFGC Treasurer Nita Wood along with a donation of $20 or more. A Member of Distinction certificate and pin will be given to the honoree. A minimum of $20 will be donated to the Claire Hanley Scholarship Fund. Nominees should be invited and encouraged to attend the State Convention to receive their recognition. Send three consecutive issues published during the award year to the State Awards Chairmen by December 1. Send a single-page letter-sized cover letter with entries stating distribution methods and any other needed information pertaining to scale of points. No Book of Evidence is needed. Newsletters winning first places will be forwarded, if eligible, to both Regional and National Chairmen for award consideration. A Life Membership is the highest honor a member of a Federated Garden Club can receive. They may be given by a club, district, friend or relative. Recipients receive a certificate. Photos can be digital or film photos and should not be enhanced by any computer program other than conversion from color to black and white. For the 2019 contest, photos must be taken between January 2018 and April 2019. The photo must be 8″x10″ and matted, not to exceed 11″x14″ inches. Districts will select the first-place winning photograph from each category to be displayed and judged at the State Convention. Winner in each category will receive a certificate and ribbon. This award is in honor of Suzy Twist Powell, who was the quintessential garden club member. It is presented annually at the OSFGC Convention. Suzy promoted excellence in floral design through her skillful and artistic craftsmanship, active support of flower show schools and symposiums, organization of flower shows, and participation in the multiple activities of the garden club at all levels. She passed away in 2015, but her passion for floral design, gardening, and encouraging others through training and education will continue to be an inspiration for present and future gardeners and designers. 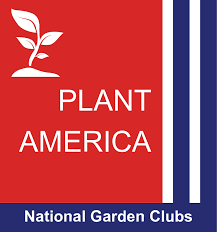 Nominations may be made by any club or club member belonging to the National Garden Club. Nominations by clubs are to be signed by the District Director and nominations by club members are to be signed by the Club President. The nominations are to be submitted to the OSFGC President. The names of the nominees will be hidden from the committee members. Has conducted a class or demonstrated floral design for a garden club belonging to the National Garden Club. Deadline: to Chairman by November 1. Send three copies of your club, district or council yearbook to the Chairman. Guidelines for preparation are available on the NGC website, this Chairman, and the State Awards Chairman. The first-place yearbooks will go to Pacific Region for judging. The Yearbook Cover is a State (only) Award. Please send three (3) copies of your yearbook along with the Application to this chairman for judging. Note: Eligible for Pacific Region Award #3 and NGC Award YB-1.